Xplore Flashback: Celebrating This Iconic Day When History Was Scripted! 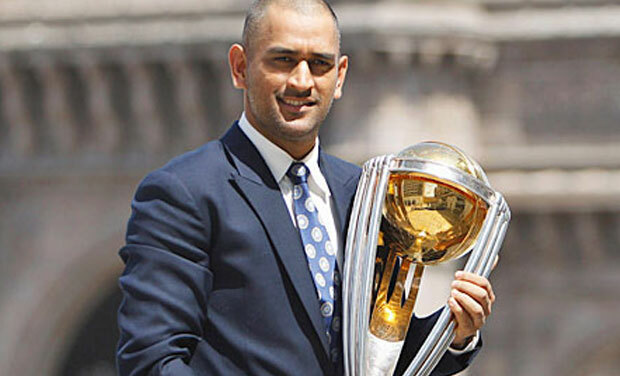 “Dhoni finishes off in style, it’s a magnificent strike into the crowd, India lifts the world cup after 28 years. The party has started in the dressing room. And it’s an Indian captain, who has been absolutely magnificent on the night of the finals.” These words by Ravi Shastri still echo in our eardrums after 8 years. 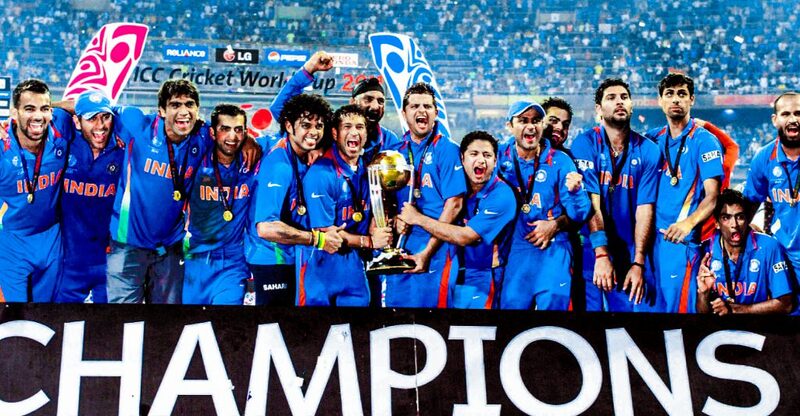 April 2nd, 2011 is marked in history as the men in Blue scripted a fairytale performance in front of a jam-packed Wankhede Stadium in Mumbai to lift the World Cup after 28 years. The entire nation went absolutely frenzy. The visuals of people celebrating the triumph on the streets to strangers congratulating each other over India’s victory was a visual to behold. Undoubtedly, the memory is etched in the heart of every cricketing fan, especially in a nation where Cricket is followed more like a religion than a sport. Every citizen of this country gathered together to celebrate the collective efforts of the fifteen members of the Indian squad and today, “XploreSports” goes down the memory lane to look at how their careers progressed in the aftermath of undoubtedly the biggest moment in their cricketing lives and gives you information on the whereabouts of these players in the present day. Virender Sehwag – The Anarchist. Opening the innings at the World Cup Viru displayed some great innings by smashing a total of 380 runs that included 1 century and 1 half century to rank him 7th as the most run scorer at the 2011 World Cup. Although, after the World Cup he proved to be inconsistent with his form and announced his retirement in 2016 from all formats of the game, his 2nd Innings away from cricket is as exciting as his first. Despite mentoring IPL Franchise KXI Punjab for 3 years, his wits and trolls have gathered a different fanbase for him on social media. After Anil Kumble’s departure as the Indian Coach, Sehwag applied for the position of Head Coach, however, he was rather unsuccessful in this endeavour, as Ravi Shastri was chosen for the position. Sachin Tendulkar – The Supreme God. He was in sublime form at his last World Cup wearing the blue jersey as he scored 482 runs to finish the tournament as the second highest run-getter. After retiring from all formats in 2013 he has shown active involvement in sports other than cricket. From owning Indian Super League franchise Kerala Blasters for 3 years to co-owning the Premier Badminton League franchisee Bengaluru Blasters he has always stood front for the development of sports in India. He is also the UNICEF ambassador for Hygiene and Sanitation along with all his philanthropic work. He’s also still involved with the game of cricket as he serves as the ‘Icon’ of the Mumbai Indians IPL Franchise, is a member of the Cricket Advisory Committee of the BCCI, and makes occasional appearances on cricket-related broadcasts as an analyst. Gautam Gambhir – The Liberator. He proved out to be the Messiah at the World Cup final. His resilient inning of 97 at this big stage undoubtedly made him the unsung hero of this historic victory. Despite a stellar performance in World Cup, he found it difficult to bag his spot in the Indian team. He’s had the most topsy-turvy international career and announced his retirement from all formats of the game in 2018. Now he’s focused to serve in politics as he’s joined BJP in 2019. Virat Kohli – The Future Torch Bearer. He was the youngest member in the World Cup winning squad and his performance in the coveted tournament gave a feeling of relief for all the Indian fans as they felt that Indian Cricket was in safe hands after MS Dhoni steps out as the captain. Since then, this man has gone on to become arguably the best player and unarguably the biggest cricketing celebrity in the world. Currently plundering records, he’s in his career-best form and will now lead India in the 2019 World Cup. Yuvraj Singh – The Gladiator. Yuvraj was the 8th highest run-scorer in the tournament with 362 runs in 9 matches at an average of 90.50 including a hundred and four fifties. 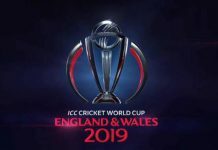 He was also the fourth highest wicket-taker with 15 wickets at 25.13 including a five-wicket haul making him the Man of The Tournament in the World Cup. Yuvi did all this while carrying a golf-ball sized cancerous tumour stage-1 in his left lung. After his World Cup heroics, Yuvraj won his battle with cancer after undergoing treatment in Boston. Since then he’s found it difficult to bounce back into the team as many young emerging players have proved their spot. Although, he has shown the world that there is cricket still left in him after he smashed Yuzvendra Chahal for 3 boisterous sixers while playing for his current IPL franchise Mumbai Indians. We wish Yuvraj displays some great innings at the ongoing tournament and gets inducted in the 2019 World Cup squad. Mind you, there is still a spot vacant at No.4 and who better than a flair mix of experience and talent. YUVI CAN! MS Dhoni – The Chief. The man who revolutionized the Indian cricket when it needed the most. A think tank, a risk taker, a complete leader. This man has guided the team to some historical wins but none of the innings will be as special as the one he played 8 years ago on this very day – April 2. 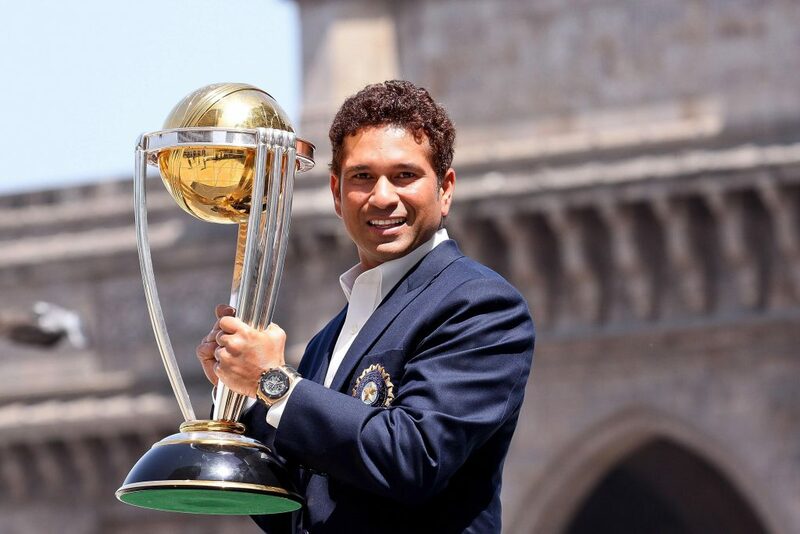 Make history count and let this legend be felicitated with another farewell holding the 2019 World Cup. Do it for DHONI! Suresh Raina & Yusuf Pathan – Suresh Raina was in impeccable form during the 2011 World Cup. He was one of the most essential members of the limited-overs squad, although his poor form and the rise of millennial talents have found him difficult to bounce back into the team. Raina has had few comebacks in the Indian jersey, the latest being in mid-2018. While Yusuf Pathan’s contribution to the World Cup victory was rather minimal, and his international career only lasted for a little under a year after the World Cup. However, both the players remain high stock assets for their respective franchises in IPL. Suresh Raina & Yusuf Pathan with other team members of World Cup Squad. Harbhajan Singh & Piyush Chawla – Both these players have had downward spiral post the 2011 World Cup. Both the spinners have been constant performers for their respective IPL franchise and have churned wickets for them at regular intervals and have also made some handy contributions with the bat. Ravichandran Ashwin – The Amature Dark Horse. Ashwin was relatively young and inexperienced when he was selected into the World Cup squad. But the captain and the selectors believed in his talent. Since then, he has proved himself to become one of the world’s premier spinners, particularly in the red-ball format. With the inclusion of wrist spinners in the form of Chahal and Kuldeep, Ashwin has found it difficult to gain a spot in the regular tours. He’s now leading the Kings XI Punjab in IPL. Ashish Nehra & Zaheer Khan – The Hot Rods. Both the seamers were stars with the ball in the World Cup 2011. They were undoubtedly the finest pace duo during the World Cup 2011. Although both the seamers found it difficult to bounce back into the squad post World Cup. Zaheer is now the Director of Cricket Operations for IPL franchise Mumbai Indians. Nehra had some decent IPL return for CSK and SRH after the world cup and was able to prolong his career and have a resurgence as a T20 specialist. S Sreesanth – The Indian Lady Luck. Sreesanth played the World Cup final after Ashish Nehra injured his finger at the semifinal game. Since the World Cup triumph, Sreesanth has been the most controversial name on the list. The final of 2011 was his last limited overs cricket he played and his last game in professional cricket was in May 2013, due to his involvement in the spot-fixing scandal during IPL 2013. Sreesanth has been termed a life ban by the BCCI disciplinary committee. But for his fans he has ventured into the entertainment industry, making appearances on certain television shows and movies. Munaf Patel – The Unsung Hero. His performance was economical and he proved out to be a great contribution to India’s historic victory. However, post the 2011 World Cup, his career alarmingly went into a downward spiral. He hasn’t played professional cricket since his last match for Gujarat Lions in 2017. Next articleThe Forgotten Stars Of IPL: 5 Players Who Came, Conquered & Disappeared! World Cup 2011 just might be the biggest sports achievement we have seen in this Decade. Let us see how many of you remember what exactly happened!